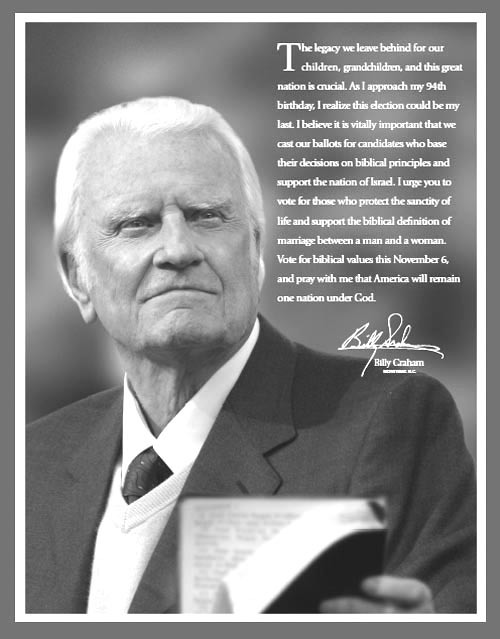 Billy Graham, in a national advertising campaign launched Oct. 18, calls on Americans to “vote for biblical values” as they cast ballots in the upcoming election. 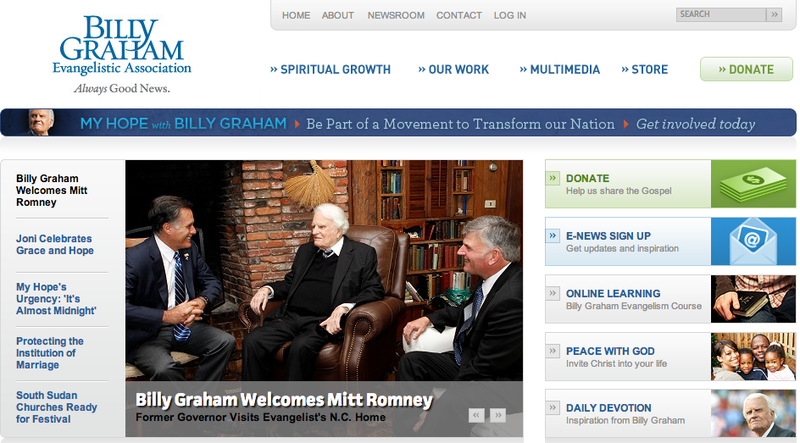 "I'll do all I can to help you," said Graham, 93. Read more about "I'll do all I can to help you," said Graham, 93. 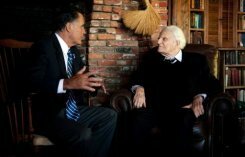 Billy Graham: "At 93, I never thought we would have to debate the definition of marriage"
Read more about Billy Graham: "At 93, I never thought we would have to debate the definition of marriage"
Bob Jones Sr.: "Billy, if you leave ...all you can amount to would be a poor country Baptist preacher somewhere out in the sticks"
Read more about Bob Jones Sr.: "Billy, if you leave ...all you can amount to would be a poor country Baptist preacher somewhere out in the sticks"